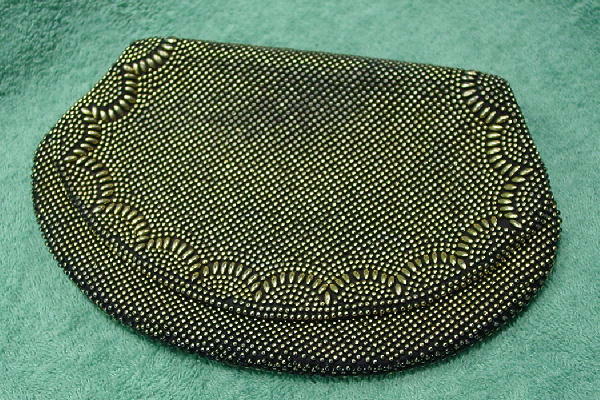 This vintage two sided clutch has a surface of muted gold-tone balls accented by elongated beads. 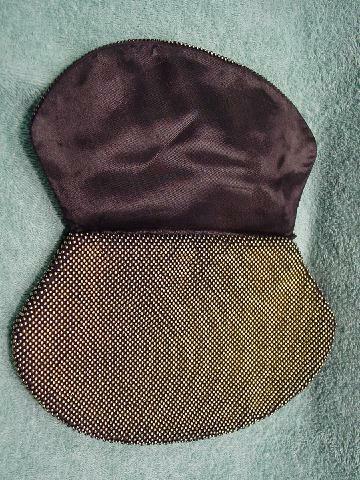 The flaps and interior lining are in black (feels like) acetate. The flaps have some of the finish worn off, probably from where the purse was being held. 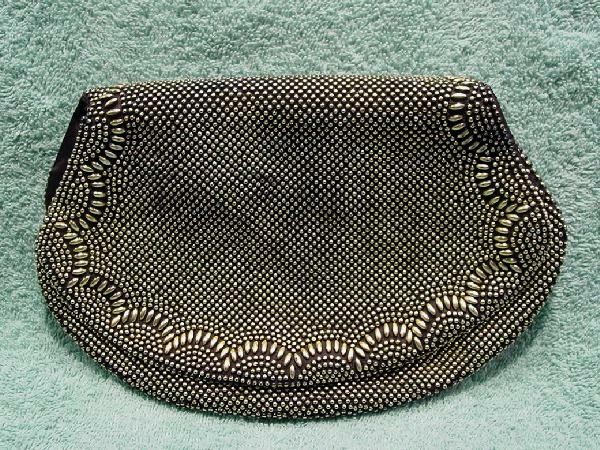 One of the interior sides has a small open pocket. There are 3 beads missing on one side under one of the flaps and the other side has 2 beads missing.